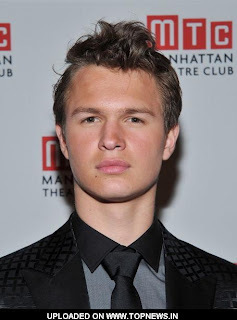 Home » ansel elgort » augustus casting » john green » josh boone » movie news » the fault in our stars movie » Ansel Elgort is Augustus in The Fault in Our Stars Movie! Ansel Elgort is Augustus in The Fault in Our Stars Movie! Few days ago, there were five actors who were rumored to vye for the role of Augustus Waters in the movie adaptation of "The Fault in Our Stars." These guys include Brenton Thwaites, Nat Wolff, Nick Robinson, Noah Silver and Ansel Elgort. And the lucky guy to play the most coveted role of Augustus "Gus" Waters is none other than Ansel Elgort. He will soon be joining Shailene Woodley, who plays Hazel in the upcoming TFiOS movie. Thanks EW for the news. In case you don't know Ansel Elgort plays the brother of Shailene Woodley's character in Divergent, another young adult book by Veronica Roth that will be adapted to movie soon. They have already started filming so I guess working again for another movie will make them comfortable on set. You will see Ansel in Carrie with Chloe Grace Moretz this fall. What do you think of Ansel as Augustus? Are you excited?